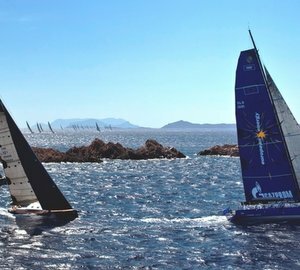 Following the new course record set at the Giraglia Rolex Cup in June, as well as the victory at the Palermo – Monte Carlo regatta a couple of days ago, the 100ft sailing yacht Esimit Europa 2 is preparing to beat the existing course record on the route from Monaco to Porto Cervo, set back in 2003. Esimit Europa 2 superyacht is one of the fastest yachts in the world, navigated by the Esimit Sailing Team. 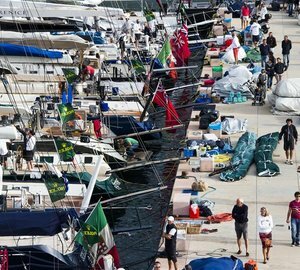 The Esimit Sailing Team with its unique message “All Europeans together on the same boat” is facing a busy schedule in the upcoming weeks. 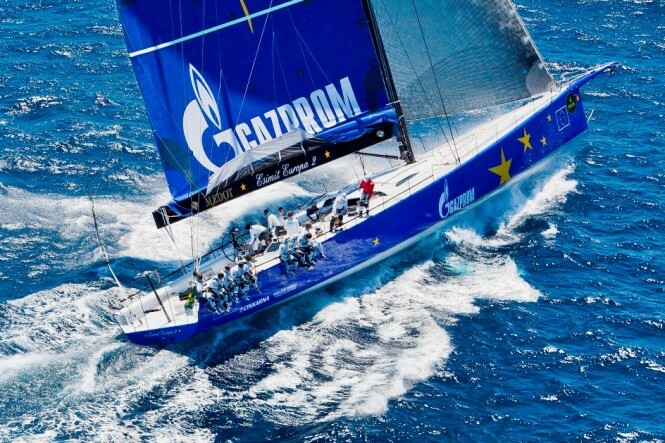 Recent results prove that the crew, led by German skipper Jochen Schümann, is in excellent shape. The European sport team is showing excellent results, regardless if they are facing extremely strong or very light winds. 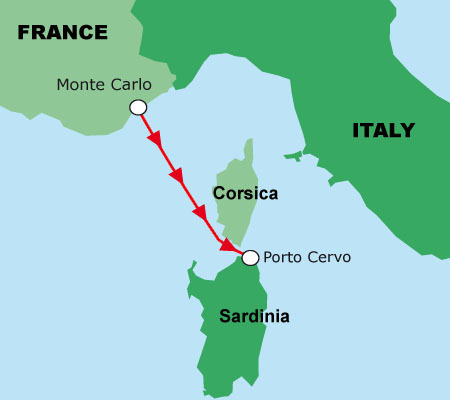 Therefore, the spirits going into the attempt to a speed record from Monaco to Porto Cervo are also high. 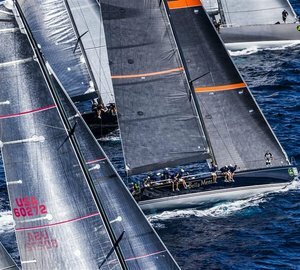 “There is a great synergy among us, it reflects in the new course record at the Giraglia Rolex Cup and by achieving line honours at the Palermo – Monte Carlo regatta just a few days ago. Based on the excellent collaboration of the team and the yacht being in great shape, we are ready for yet another big challenge”, said Igor Simčič, founder of the Esimit Europa project. The course covers the distance of 195 nautical miles between the scenic locations on the French Riviera and Italian seaside resort in northern Sardinia. The attempt to the speed record is scheduled for 26th August. The time to beat is 15 hours 24 minutes and 59 seconds. The 30-meter maxi yacht Esimit Europa 2 is coming from the Palermo – Monte Carlo regatta and is heading into the Maxi Yacht Rolex Cup, starting in Porto Cervo (Sardinia) on 2nd September. The record attempt is approved by the International Sailing Federation, under the World Sailing Speed Record Council Rule 21 (c) in a Powered Sailing System category. The current record was set on 6th October 2003 by the sailing yacht Nariida, sailing under the Norwegian flag, owned by Morten Sig. Bergesen and has been skippered by Knut Frostad and a crew of 15 sailors. The challenge that luxury yacht Esimit Europa 2 is taking on is not easy, as the average speed, when setting the record, was 12.64 knots. 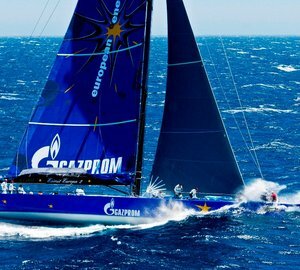 Please contact CharterWorld - the luxury yacht charter specialist - for more on superyacht news item "Esimit Europa 2 superyacht to compete in the 2012 Maxi Yacht Rolex Cup".